UK Fun Swim Shop for Baby Swimwear, Swimming Equipment, Swim Nappies, Swim Jackets & Swimming Aids. Great Service, FREE UK Delivery and 365 day returns! 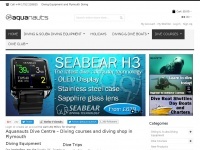 Apnea.co.uk - Spearfis­hing, Freedi­ving & Gene­ral Wa­tersports ..
Very.co.uk - Very | Wo­mens, Mens and Kids Fas­hion, Fur­nitu­re, ..
Aquanauts.co.uk - Di­ving Shop, Di­ving Cour­ses and Dive Centre in ..